A study by UCLA neuroscientists suggests that the signals could help neurons find each other to form networks. UCLA’s Dr. Michael Gandal said that beyond the important new findings, he is even more optimistic about what the data will help researchers learn in the future. The study is the most comprehensive published effort to date to identify the source of neurodegeneration across species. Researchers found that lower activity of an enzyme that helps maintain cells’ health along with DNA damage were associated with worse cognitive performance, such as attention and motor skills. A UCLA mouse model could deepen understanding of the same diseases, such as anxiety disorders, in children. 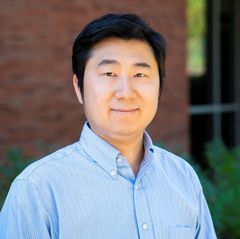 The research by Dr. Lin Jiang and his team included findings from computer software that assisted them in the drug selection process. A pioneer in her field, Dr. Linda Liau is only the second woman in the nation — and the first Asian-American woman — to chair an academic department of neurosurgery. The genetic technique is a step toward a strategy to help people with autism better process visual information. The idea for the project began 20 years ago, when UCLA professor Anne Andrews was researching serotonin and realized that the then-state-of-the-art methods for monitoring neurochemicals couldn’t provide data with sufficient quality. Mark Pollock and his partner, Simone George, met UCLA’s Reggie Edgerton and discarded advice from doctors who had discouraged their pursuit of a cure. Findings from a UCLA-led study may ultimately lead to new ways to treat psychiatric disorders, including obsessive compulsive disorder, at their root. Many patients and doctors are unaware how new therapies can improve quality of life. Findings from the UCLA study could lead to new treatments for patients. The findings open the door to future study about whether specific interventions, such as changes to diet, could affect brain function and thus affect the desire to overeat or to eat when not hungry. Dr. Daniel Lu, the study’s lead author, said the benefit lasted for two to four weeks, suggesting that the spinal cord’s neural circuitry retains a ‘memory’ of the treatment. The findings may eventually lead to researchers discovering a new way to control the proteins found at synapses and, in turn, treat diseases characterized by synaptic dysfunction. The finding in animals could support the first blood test to speed diagnosis and improve treatment in humans. Neurophysicist Mayank Mehta’s work has implications for diagnosing and treating neurological diseases.